Play at some of the finest golf courses in India, stay at only the best luxury hotels and golf resorts, dine at the best tables and receive unrivaled level of service on and off the course. Indian Holiday Pvt. Ltd. has sourced some of the most indulgent golf experiences in India. From the very first golf course developed outside the British Isles to the exotic locales such as Gulmarg with World's Highest Golf Course where unparalleled surrounds and serious pampering are par for the course, the best of golfing experience is what's on offer. 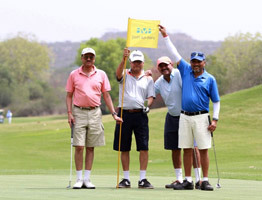 So if it is a luxury golf resort or club with championship courses or an exclusive golf-oriented tour across the legendary and finest greens of India, plan your golfing vacation in India now! We'll make sure that you return for a second trip. Choose from some of the finest golf resorts in India to for an exclusive golfing experience and indulgent stay. Looking for a luxury golfing experience in India? 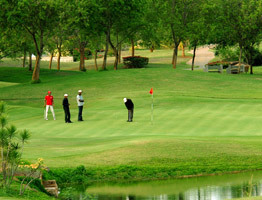 Find information on all golf courses located across India. 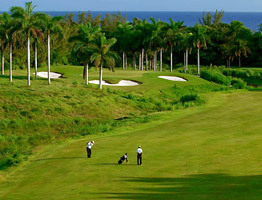 Golf has turned into a viewer sport with several recreational tours around the year in different parts of the world. 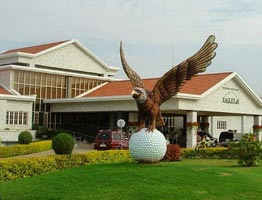 Find information of some of the premier golfing destinations across India to plan your golf tour and tee away.